Hi my dear friends! Today Design Birdy and I representing the article which differs from previuse ones. Poole Hospital are now giving premature babies on the neonatal intensive care unit (NICU) the unusual creatures for comfort. Research has proven the tentacles of a crocheted octopus remind babies of the umbilical cord and being in their mother’s womb, making them feel safe. 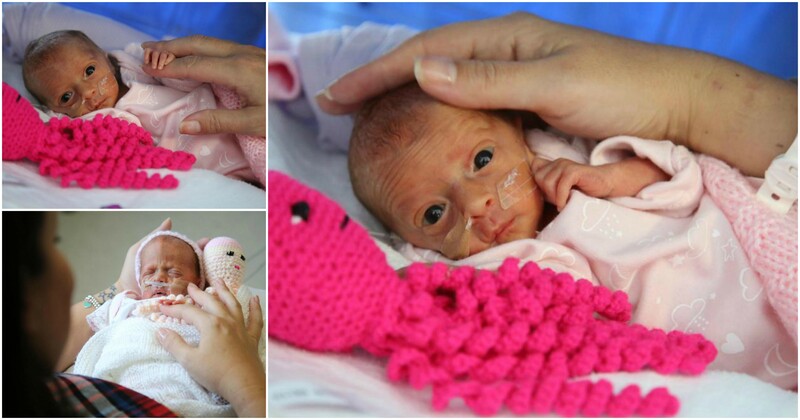 Now to mark World Prematurity Day, Poole Hospital is appealing for people to crochet the octopuses, so every premature baby can enjoy the benefits. Under this article you can find the howl article how to crochet the right size octopus for premature newborns. Share with this useful information with your friends and enjoy with pleasure of good crocheting and doing kind things – you can donate this crocheting octopuses to NICU.